The iFixit team who are normally taking gadgets apart to see how they tick. 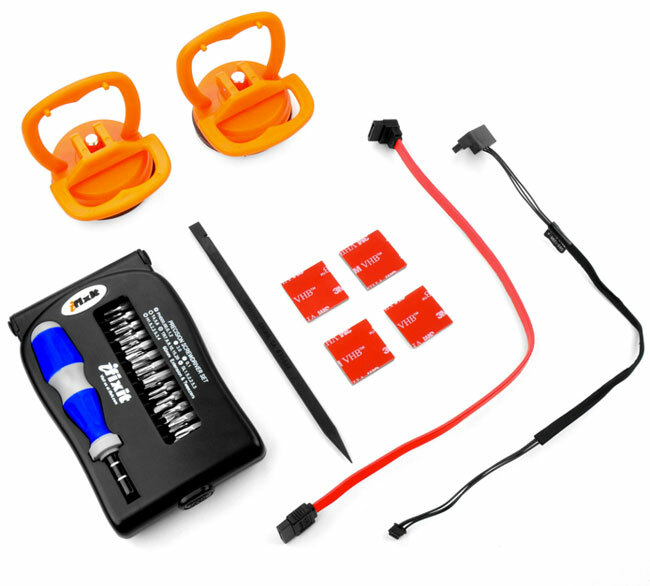 Has today announced a new dual hard rive kit it has created for mid 2011 iMac machines. The kit has been created to allow you to fit an extra hard drive within your iMac allowing you to install a SSD drive if preferred with extra storage provided by the additional HDD. ” We’ve custom designed a kit with all the parts and tools you need to install a second hard drive inside your Mid 2011 21.5″ iMac. It will work with all processor speeds, regardless of whether Apple offers the additional SSD option for your machine. And unlike other kits, our product does not require permanently removing your optical drive. The new iFixit Dual Hard Drive Kit for iMac Mid 2011 is now available from the iFixit website for $69.95.